It’s time to start thinking about your holiday decor now that you’ve had your big Thanksgiving feast. If you are looking for a quick project to spruce up your holiday tables and mantel, I’ve collected some wonderful free crochet Christmas patterns. These festive tabletop Christmas trees are all great small projects that pack a great decorating punch. Wherever you decide to place these crochet Christmas trees, they are sure to make a festive addition. I’ve even included a few free knit Christmas patterns if you are feeling a little more adventuresome. But don’t worry, all of these festive patterns are easy to follow and will give you instant satisfaction. This collection of patterns are so unbelievably easy to make. You will be surprised at these free crochet Christmas patterns and how insanely cute they will look adorning your holiday tables. This selection of crochet Christmas tree patterns are slightly more challenging, but still easy to work up with very little effort. You are going to love decorating your home with these festive homemade Christmas trees. You can even make them to give as gifts. Anyone who gets one is sure to be amazed at the beauty of a wonderfully made homemade Christmas gift. 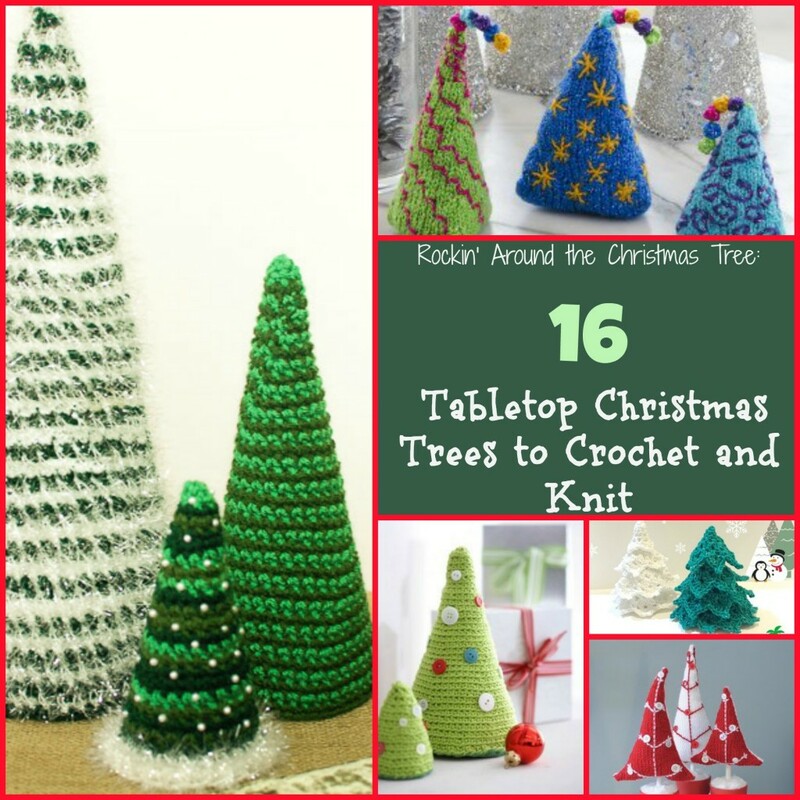 If you’d like to shake up your yarn crafting, give these knit tabletop Christmas trees a try. These festive free Christmas knitting patterns are all easy to follow. You;ll be making a cutest holiday decor in no time at all. If you need more Christmas inspiration, we’ve collected even more lovely Christmas tree inspired free knit and crochet patterns. You’ll love this collection, we have curated everything from wearable items to more holiday home decor. Which of these festive tabletop trees are you most excited to try?